BEAVERTON, OREGON, March 9, 2015: Audio Precision, the recognized standard in audio test, announced today the expansion of their representation in China with the addition of Electronic Scientific Engineering Ltd. (ESE) as an authorized partner. ESE’s Electronic Test Systems group has extensive measurement experience, with focus areas that include the consumer electronics, multimedia, telecommunication and microwave equipment markets. With the growing demand for audio test equipment in China, the addition of ESE ensures that engineers throughout the country have timely access to Audio Precision instrumentation, support, and measurement expertise. 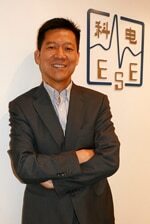 Via their offices in Beijing, Chengdu, and Xi’an, ESE is now Audio Precision’s partner in Northern and Western China, with AP Technology Ltd. continuing to be responsible for Southern and Eastern China. Established in 1980, Electronic Scientific Engineering Ltd. is a member of CORNES Group and one of the leading industrial material and equipment providers in Asia. ESE provides a wide range of production equipment, electronic testing systems, industrial materials, and tools for the manufacture and test of electronic products. For more information, please visit http://www.ese.com.hk/.